Why midwives love nurses and why you should too. You are here: Home / Blog / Why midwives love nurses and why you should too. I hope that you often hear that nurses are the backbone of our health care system. Midwives certainly say it often enough that you should have heard it! Nurses are the health care providers who are right there on the front lines. They are evaluating, monitoring, treating, reporting, documenting and caring. They tell you that it is okay that you vomited on their shoes…and mostly, they mean it. They tell you that you are going to be okay… and they don’t say that when it isn’t true. Maternity nurses meet people for the first time when they are in labour, when they are vulnerable, afraid and in need of support. Nurses manage to establish rapport, build trust, provide excellent clinical care, coordinate the needs of multiple patients and care providers all within a single shift. 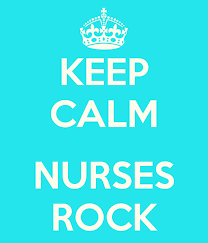 Nurses are master-coordinators, jugglers, multi-managers and supreme care-givers. Everyone on the birth team hopes that birth stays out of the operating room, but we are grateful that the OR team is there when needed. OR nurses are often under- appreciated for the role they play in keeping birth safe for both mothers and babies. OR nurses manage a complex system with many players and somehow make it look fluid, seamless, and easy. Every doctor and midwife knows better than to cross an OR nurse – they stand strong and firm to ensure that the operating theatre functions like a well-oiled, expertly calibrated machine. I’ve always thought it sad that they so seldom are thanked by those whose lives they protect. I have lost count of the number of times that I have been thanked or heard one of my obstetrician colleagues be thanked for saving the life of a baby or helping a mom get through the experience of giving birth. Those thanks are appreciated, and I’d like to think that we offer excellent service. But here is the thing… Nurses make it happen. Someone else might be calling the shots sometimes, but it is nurses who make sure that the shots get called. They have your back. If they aren’t the person in your line of sight, you can be absolutely certain that they are critical to the functioning of the person who is. Please don’t underestimate how essential nurses are to your care – even if you never lay eyes on them. Midwives provide care in clinics, homes, birth centres and hospitals. When we are in the hospital and working collaboratively with nurses to achieve excellent outcomes and experiences for our clients we are continuously reminded how lucky we are to be working with such skilled and compassionate colleagues. One of the key reasons why home birth is safe in Ontario is because midwives are well integrated into the health care system. That means that we have access to obstetricians and paediatricians when required. It also means that when we are transferring a client from a home birth to the hospital for care, we know we can rely on high quality, efficient and compassionate patient care from our nursing colleagues. Here are a few comments from our clients who have had that experience. This week is nurses week. Thank a nurse today. Midwives all over Ontario are thanking their lucky stars for their nursing colleagues. If you are having a baby, have ever had a baby, or know someone who has ever had a baby, then you also have a reason to thank a nurse. Of course, nurses work in every aspect of health care. So really, if you are alive, thank a nurse. A nurse has probably saved your life or the life of someone you love. We send our deep and sincere thanks to our maternity and newborn nurses at Brockville General Hospital: Abby, Ali, Amanda, Barb, Cindy, Cheryl, Dallas, Donna, Ellen, Erin, Jen, Kathy, Kim, Lori-Ann, Mal, Michele, Miranda, Pat, Patti, Shannon and Suzanne. Please take this opportunity to post your appreciation for a nurse in our community on the BGH Facebook Page!